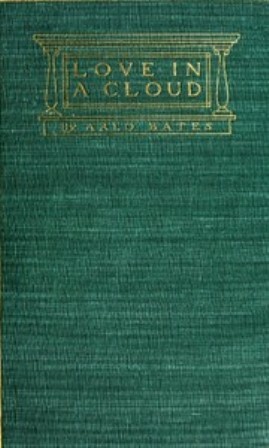 Recently I had the opportunity to be occupied with this novel “Love in a cloud ” written by Arlo Bates in 1900. Someone write’s a novel named “Love in a cloud” with a pseudo name Christopher Calamus which is based upon the real happenings in and around the country side. A wealthy maid happens to fall in love with novel and the author of the novel without even knowing, who he is ? She starts to write letters to the author under a pseudo name(again),the author also replies to her letters with mutual feelings. As the drama unfolds real people get entangled with the situation mentioned in the novel. Rest is a comedy of errors which keeps the lovers apart while the others play mischief in the process until both of them find their true identity and they fall in love one more time and lived happily ever after. Note: while reading you don’t quite feel this novel about a romantic comedy is written during the year 1900 but it still brings the flavour from the past and the approaching modern times with a simple message that the society always endorses true love and relationship matters more than anything.